If you like the Beats by Dre commercial, read this now! – music. travel. repeat. If you like the Beats by Dre commercial, read this now! If you’ve watched the NFL playoffs this season, you’ve undoubtedly seen the Beats by Dre commercial for their new wireless Studio headphones featuring San Francisco 49ers quarterback Colin Kaepernick. The extended (and somewhat ridiculously over the top) version is below. 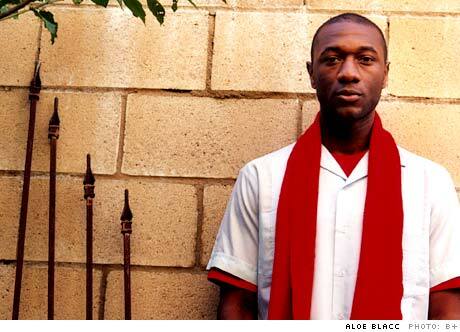 The commercial features a great track called “The Man” by singer and songwriter Aloe Blacc, or Egbert Nathaniel Dawkins III as his mother calls him. It has that catchy and clever re-imagining of the hook from Elton John’s classic “Your Song.” If you’re saying to yourself I’ve never heard Aloe Blacc before however, you’re likely wrong. Did you know he co-wrote and sang on one of the most popular songs of 2013? Thats right, thats him on Avicii’s “Wake Me Up” which was played every where over the past year. The video is below. Also, if you were a fan of the HBO show How To Make It In America, his song “I Need A Dollar” was also featured there. He signed to Interscope this past fall so keep him on your radar y’all! Great sound, great music! Next Post Next post: Music to dance to in Europe anyone?